Daddy's Home is the number 1 comedy in the UK right now as the adverts would tell you. It is also not the first time that Will Ferrell and Mark Wahlberg will be teaming up for a comedy. With two talented actors leading the helm, surely only good things could come, right? Will Ferrell stars as Brad, a man looking to finally gain the love of his step kids after marrying their mother Sarah played by Linda Cardellini. The tide looks to be turning until they receive a phone call from the father of the children, Dusty played by Mark Wahlberg. At first Brad tries to be civil and welcoming to Dusty until it becomes clear that Dusty has an intention to get rid of him. This then turns into a battle between the two as they fight for the love of the children. Lots of shenanigans ensue and a whole lot of chaos happens as there are highs and lows for both contenders. When going to see a comedy, the main reason you go to see it is to get a good laugh out of it. If a comedy does not do this it should be considered as a failure. This could be said about Daddy's Home as to be honest, it is not really that funny. 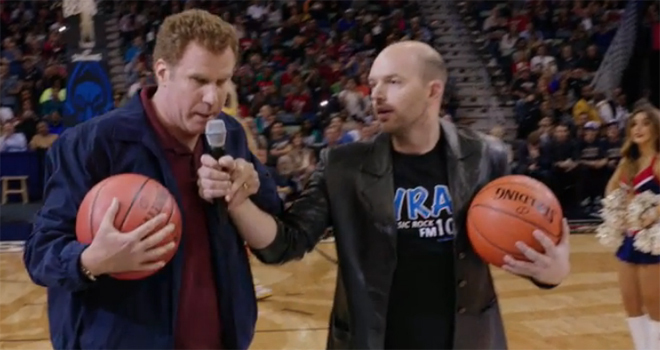 Unfortunately for Ferrell and Wahlberg, they were unable to create a comedy at the same success as "The Other Guys"- the pairs previous endeavour. Two actors that I have liked in previous comedies but the same feeling just did not seem to be there. A lot of this may be down to the kind of humour that was in this film. It seems like this film was a lot more family orientated than my favourites from these two actors. My favourite work coming from Will Ferrell has been from "Anchorman" and also really enjoyed his work in "Zoolander", where he plays quite ridiculous characters. I feel that most times he really excels at that and possibly due to this, I may of not liked Ferrell as this more serious, normal character only being pressured into ridiculous situatons. With a lot of Will Ferrell's previous comedies, there are a lot of lines that can be quoted from. From it being from Step Brothers with "There's so much more room for activities" or "You sit on a throne of lies" from Elf. Or even from what I find to be one of the most quotable movies ever made, Anchorman. The point that I am trying to make with this is that there isn't really anything comedically that is memorable. Coming out of this movie, I won't remember any great moments by next week. Most of it is pretty forgettable. I am not as big a fan of Mark Wahlberg but I didn't mind him "Ted". I don't feel that he was nearly as good in "Daddy's Home" as previous performances. For me it may of been due to his character. I didn't really find Wahlberg's character likeable at all. I didn't really find him cool or whatever they were trying to make him. To me, he just seemed like a douche. I think one of the main problems was due to it not being entirely funny, it just came off as harsh. Most of the stuff he was doing didn't land with me which didn't help his cause. One person who I do feel brought a good performance was Hannibal Burress as Griff. Mainly every scene that he was in, he brought the comedy that the film was lacking throughout most of the film. He stole all of the scenes that he was in and would like to see more of him in the future Quite a lot of the moments that were funny seemed to be a lot of shock moments rather than the actual jokes being good. Burress was probably the only exception to this at most times. I also feel that the young daughter in this film had a few good moments as well mainly due to the shock of what she was saying. Also the cameo late on with John Cena provided some entertainment for myself as well. An entertaining film at times but not a whole lot of laughter. When it is a comedy that is vital. I wouldn't really recommend going to see this in the cinema, it's not really worth it. Not one of the better films from two talented actors. 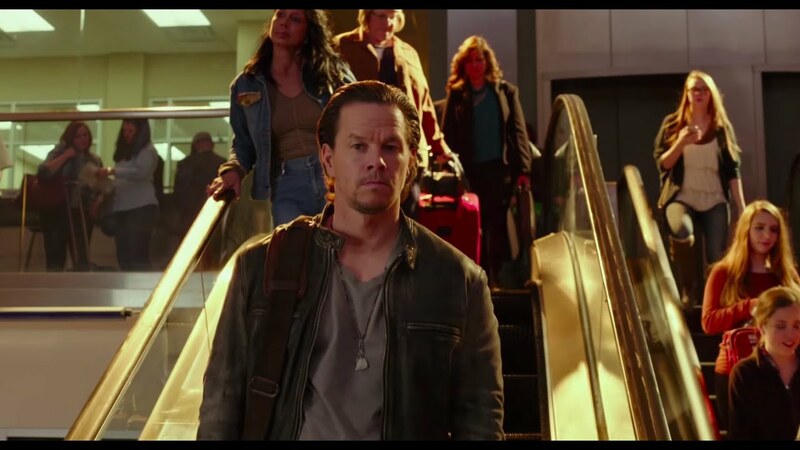 So if you have seen Daddy's Home, what did you think of it? I hope you got a lot more enjoyment out of it than I did. Once again thank you for reading. Be sure to check out my previous reviews such as "The Revenant" and "Joy", it really means a lot! Click here for the review of "The Revenant"
Click here for the review of "Joy"